There’s something magnificent about rowing: the sun glints its reflection as you watch a boat or kayak glide – seemingly effortlessly – across the water. A team of eight moves in perfect synchronisation; their collective efforts helping the vessel move that little bit closer to its destination. If you are or were a rower, or if you like watching the sport, you’ll know that this flawless symphony does not come about by accident. There’s a single person that moves, guides and directs the movements of the entire team. His position is dubbed the “coxswain” and his mandate is to take charge of all the rowers, sit in the stern of the boat and navigate his crew toward its end goal. 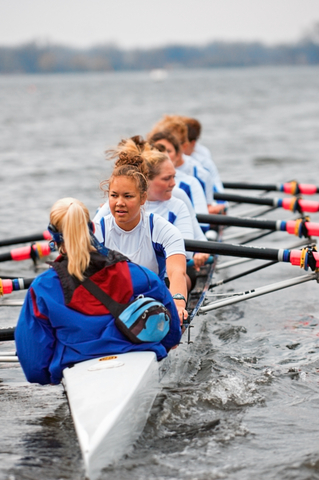 As a business owner or manager, you might see your company as the group of rowers. There are times in which your team moves in a single, unified direction. Their efforts are coordinated and they have a clear end goal. At those times it may seem that there’s a good coxswain at the helm. But there are other times when your rowers seem to be flailing. Each rower may still be putting in their best effort, but they are shifting their weight in different directions and pulling at different times. The boat shudders and jerks and sometimes feels like it’s barely moving forward at all. At times like that, you often realise that you need to bring in some new direction. In the case of many businesses, this means considering someone who can make a difference to the finances of the company: someone like a part time or interim financial director. So how do the duties of a coxswain line up with those of an interim or part time financial director? Provide financial advice and technical insight to the entire company. For example, an interim or part time financial director scrutinises existing systems in the company and helps to make them more efficient. She might train finance staff around tax reporting requirements, or help write up business plans to attract more finance from lenders. In this way, she is providing “technical corrections and advice” just like the coxswain. The Navylites organisation gives a tongue-in-cheek description of a coxswain’s role. “A coxswain’s duties are to steer the shell and complain, strategise with the stroke and complain, call for power-10s and power-20’s and complain, and call for flutters and complain and complain and complain and complain! Never-ending complaining!”, it says. Jokes aside, the Navylite description of the role implies a hands-on management position that involves ongoing monitoring and constant recommendations for course correction. In a similar way, the role of the part time or interim financial director is to strategise at the highest level, and then help implement that plan while simultaneously monitoring and controlling the finances of the company. In some ways, the role of the part time or interim financial director is to “complain and complain and complain!” or in other words, to consistently rein back, re-strategise, and make sure the finances remain on track. If your boat is currently jerking along rather than gliding, then it may be time to consider a new coxswain – someone who will breathe new life, new control, new systems and new motivation into the finances of your business. If your company is on the lookout for such a person, contact The Finance Team. Our dedicated associates are highly experienced, qualified professionals who can act as your interim or part time financial director for the period of time that you need them and no longer. If you were to ask successful entrepreneurs for the recipe of the running of a prosperous small business, they would answer that it’s a mixture of good ideas, luck, timing, hard work and passion. But, while these are the traits that it takes to run a thriving small business, it takes different skills to put together a successful business strategy for your SMME. There’s little wonder, then, that small business owners often make mistakes when compiling their business strategy – and that these translate into the same pitfalls for many businesses. Here are a few of the typical oversights made by entrepreneurs when compiling their business strategy, and how to avoid them. Focusing on processes rather than revenue goals. When starting up your new business, it’s easy to outline a list of to-dos. For example, you need a logo and a website. You need to find office space at a good price, and you need to figure out a way to train your new employees. All of these are worthwhile activities, but they could distract from the main point of the business, which is to make sales. Gear your strategy not around things that need to get done, but the number of sales that need to be made and how you plan to achieve that. Following the same road as the competition, but expecting a better outcome. SMMEs often outline an aim to be the best in the business. However, they then go on to follow the same path as their competitors. For example, you may have visited a rural part of South Africa where locals are selling home-made curios and wares. If you pull into a market selling such products, it’s not unusual to be accosted by what appears to be the same curio being sold by eight different sources. The vendors use the same raw materials, craft their curios in a similar manner, and sell them all at roughly the same price. Each vendor hopes that his crafts will be the ones chosen by the customer, but in reality, there’s no reason why they would be. There’s very little hope of one business taking off faster than the others when all of them are living off the same borrowed ideas. Instead, your business strategy needs to combine the wisdom of the past with your own inimitable ways. Learn from the examples of other companies and then combine those lessons with your own fresh ideas to outline a unique path for your company. While your company’s value proposition needs to be competitive and is essential to the success of your business, focusing your business strategy purely on the demand side of things leaves a gaping hole in the viability of your plan. Your business strategy has an equally important responsibility to ensure that supply is both adequately and cost-efficiently met. Your SMME has potential for great success, and as the business owner, you can steer it in the direction of achieving it. Part of that is seeing its vision and strategizing in a way that translates your lofty ideals into workable steps. Avoid these three mistakes and you will be one step closer to arriving there. If your company needs assistance in doing this, The Finance Team can assist. Our experienced strategists can help you compile your business strategy and then periodically help you re-assess the progress made in light of your vision. 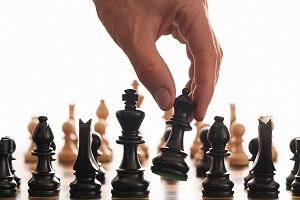 When you hear the words “business strategy” a set of assumptions probably come to mind. You’ll most likely imagine a meeting in a big corporate building, with a bunch of senior executives brainstorming in a large, opulent boardroom. They spend a few days holed up in their meeting room, and when they emerge they’ve got a long typed document and a powerpoint presentation that gets presented at stratco meetings, emailed to all the staff and then largely forgotten. But the reality is that business strategy is not only for the biggest of all companies, it doesn’t necessarily take a large group of people to compile, and it shouldn’t be a once-off occasion. There are several myths about business strategy that are either stopping companies from doing it, or stopping them from strategizing effectively. Here are some of the misbeliefs and the reasons you shouldn’t give them credence. 1. Business strategy is only for large corporates. Saying that business strategy is only necessary for large companies is like saying that only people from Durban need to use roadmaps. It simply makes no sense. Any company — from a two-person startup to a multi-national corporation – needs an idea of where it is going. It needs a clear picture of what it is, the products it provides and who it provides them to. A lack of direction will mean that decisions are not made in line with a single line of outcomes in mind. Everyone needs business strategy. 2. The past predicts the future. Often business strategy is informed by a historical outlook. When mapping out the future, the past is often the first place that strategists will look. Admittedly, there are only so many methods that one can use to predict the future, and the past is the obvious place to start. Nevertheless, the rate at which change takes place in today’s environment means that looking at what happened before is becoming a less and less reliable measure of what is to come. Instead, business strategy should combine historical data with current trends and the possible directions to which those trends point. 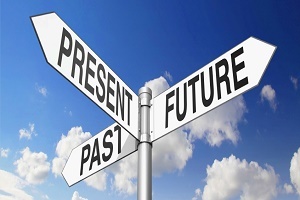 Future prediction is imperfect at best, but shying away from a rigid dependence on the past will stand any strategist in good stead for their understanding of the future. 3. Business strategy should only be carried out by senior management. Of course, top management should always be involved in the formulation of strategy – it is integral to their role within the company, and many top managers are hired precisely for their ability to envision a way forward for the company. However, only involving the input of your top management when formulating your business strategy is a mistake. Every business needs to know how plotting a certain path will affect the operations – the day to day decisions – of the company. And it is impossible to know this without getting the input of those who make the operational decisions. So, invite the input of middle managers, line managers and even general employees. You need a cross section of feedback, because you’ll need buy-in from all levels of the company when it comes to implementing your business strategy. 4. Business strategy will automatically be accepted if it is endorsed by top management. Imagine you’re on a road trip in a car full of people. You’re taking a pre-determined route, when the driver of the car decides to take a detour. His reasoning is sound, he knows the road well, and he is the driver after all. Are all the passengers likely to instantly agree with his new path? Unlikely. There are others who know the road too, and feel there are flaws in his plan. They point out the possibility of road works and potholes and traffic jams. When their predictions are fulfilled, they gloat. Very few passengers will unquestioningly accept the new route and support the driver no matter what goes wrong.